The German luxury car maker Audi is now contemplating to build a new sedan on the platform of Audi A3. The company showcased Audi A3 concept last year at the 2011 Geneva Motor Show. Audi mentioned on its Facebook page that the company will launch this new Audi A3 in the American car market by the end of this year. Expected to make its debut at the 2012 Paris Motor Show, the new Audi A3 sedan will be the lowest priced car in the A3 range of cars. A3 sedan would be an elongated version of A3 hatchback and will be conceived on the MQB platform. 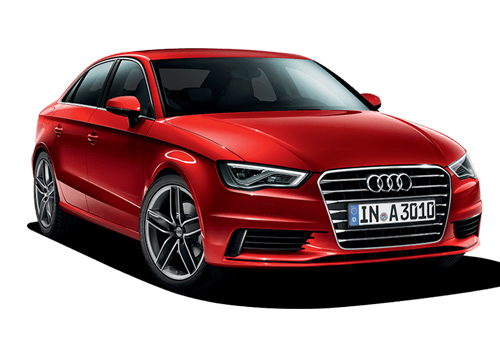 The A3 sedan will be equipped with the same powerplant and will also sport the same engine. Expect a 1.8 TFSI petrol motor under the hood along with a 2.0 litre diesel TDI mill that can produce 140 PS of power along with a maximum torque of 320 Nm. This would definitely be an affordable luxury sedan that too from a renowned luxury car maker across the globe. The A3 sedan will be India bound and is likely to come to the Indian car market by mid 2013. A3 sedan will be assembled locally in India at its Aurangabad plant. A3 sedan could carry a price tag ranging between Rs 22 lakh to Rs 24 lakh and will compete with the likes of Mercedes Benz CLC that could also be rolled by next year.